April 20, 2011 March 21, 2017 cooksomethingrva! I have potted my summer kitchen herbs!!! 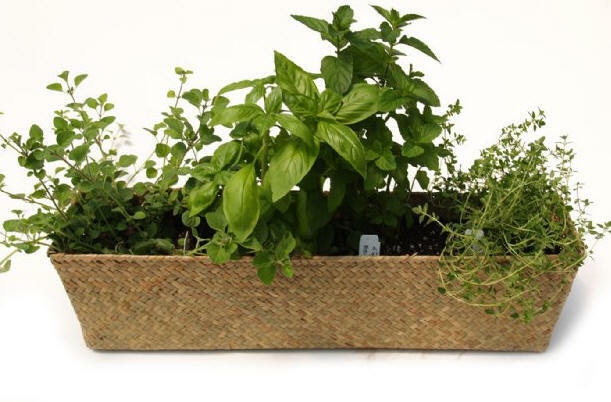 There is nothing like snipping a handful of fresh herbs for dinner or any meal for that matter. The kitchen window, if it gets some good light, is a perfect place to start a small herb garden. I have found that I am not the best at starting from seed so I tend to purchase seedling from the local farmer’s market or even Lowe’s for that matter. A little tending, some good organic potting soil, a little water and you have got yourselve an herb garden. Sweet Basil, German Thyme, Cilantro and Rosemary are my favs and really do quite well in full to moderate sun and in containers. So aromatic and each taste so good when added fresh to a meal. I also enjoy having some mint on hand for iced tea.